The School of Earth, Society & Environment includes several faculty actively engaged in using science to shape Environmental Policy. As the founder of the Beckman Institute sponsored Social Dimensions of Environmental Policy, Prof. Jesse Ribot examines environmental issues and policy from a social sciences lens. 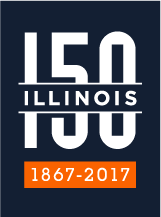 Emeritus Professor Bruce Hannon, also from the Department of Geography & GIS, was a co-founding member of the Committee on Allerton Park, a local Champaign-Urbana group that worked on numerous environmental issues relevant to downstate Illinois. From the Department of Atmospheric Sciences are Nobel Laureates Prof. Don Wuebbles and Prof. Michael Schlesinger, who frequently serve on the Intergovernmental Panel for Climate Change (IPCC). Members of the IPCC were awarded Nobel Peace Prize in 2007.